Help them recognise that they already have a wealth of experience. Even if they are just starting out, they have a strong story to tell. When they’re properly presented, summer jobs, school and college projects, extra-curricular activities, voluntary work and hobbies can all contribute to your teenager’s sales pitch. They just need to understand the story they are telling and then identify what is relevant to the job criteria – because it counts. The clue to what an employer wants is in the job title (and description). Help your teenager to learn to read job advertisements and the description carefully and to be on the look out for all the clues included which show what a company’s ideal candidate is like. After that, help them to play the matching game. They need to review their experience and pull out examples from their work and educational history which show how they have developed the required skills. Make sure they polish up those hidden gems. Putting a positive emphasis on their non-work activities can help boost their credentials enormously. Arranging a local charity event, for example, demonstrates an attractive range of skills and attributes – from budget planning and supplier management to deliver to a deadline. Help them to realise they know their stuff. A candidate stands out on paper because they are clear about who they are, where they are going and why, and what they have to offer already that shows their motivation and abilities. In other words, an effective application is one where the applicant knows and understands their story and tells it effectively. Spending time with your young person helping them to identify and explain their own story will pay dividends when it comes to writing compelling applications and when they get invited to interview. So make sure they become an expert in explaining their own experiences and story both in writing and verbally. it will build their confidence and self-belief, helping them to show their character, abilities and potential in the best possible light. For any application to be successful, the applicant needs to show that they understand what they have to offer through the use of examples. We have put together a useful table below for you to use to help your teenager or young adult identify first class examples of the top skills recruiters want in action for their applications. Get them to think of the times when they had to work with others or contribute to a group to succeed. Sports teams, academic societies, group projects at school or university, special interest groups like Young Farmers, the Urdd in Wales, Scouts and Guiding are all great examples. Help them to realise that anything that puts their writing, speaking, and listening skills to the test are what is wanted here. This includes speeches, presentations, written and oral reports, dissertations, blogs (if relevant, clean and work-related), telephone work, debating society, newsletter contributions, amateur dramatics and music activities, and school or campus newsletter, newspaper or magazine contributions. Encourage them to find times when have others looked to them for expertise and guidance. In addition to any supervisor or team management roles, get them to think along the lines of the Duke of Edinburgh Award, mentoring, sports team captaincy, cadets, Scouts or Guiding. A the gig economy continues to develop and there is increasing emphasis on project work, helping your teen to identify good examples really matters. Ask them to find time when they have had to plan, organise and co-ordinate a range of tasks to achieve a single goal. This could mean organising events (for charity, school or university), coursework, working to a deadline, dealing with budgets, planning and co-ordinating a group of people. Now that your teenager has identified what they can use in their applications, you’ll need to help them understand how to include them in a good CV. Writing a good CV make all the difference to their application success and teenagers will need to realise that it takes time to do. Getting it right from the start will make it easier for them to update as they progress. Use the guidance below to help them write a top notch CV. Make sure that they set it out in a way that is easy to read using a typeface that is easy to scan read like we read newspapers looking for interesting articles. 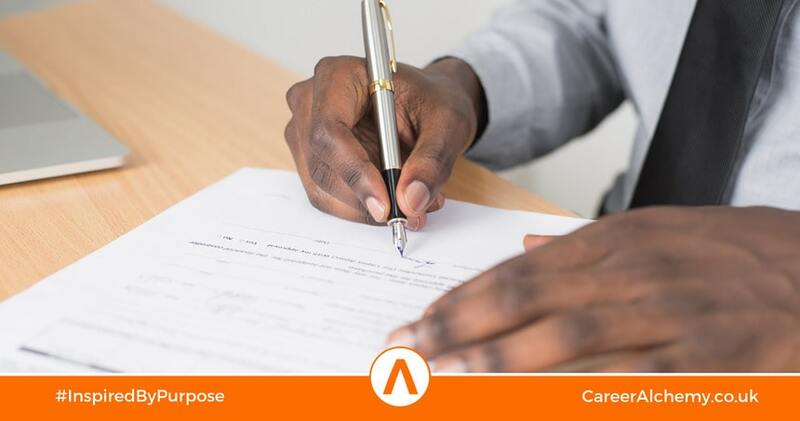 The employer should be able to tick off key points quickly so that they can get to the important stuff such as qualifications and experience. Once they have written it, get them to check it for accuracy and spelling errors. Then get them to get someone else (ie you!) to check it again! It needs to be no more than one or two sides of A4. Make sure they realise that they need to keep it accurate and up-to-date. Encourage them to add in any new experience as they progress. They will also need to amend the content for the particular job they are interested in each time. A one size fits all CV won’t do. Encourage them to draw on examples of past work that are relevant that you helped them to identify earlier (see above) e.g. where they have worked in a team, made a real difference, introduced new ideas, achieved success etc. Here are some examples of different types of CVs from the graduate website, Prospects, which your son or daughter can choose from depending on what they are aiming to apply for. Similarly, Reed.co.uk also offers some examples including downloadable templates for you to use.including CVs for school leavers and graduates. A note of caution about other templates – they do not always show good practice and no one we know is called Curriculum Vitae so make sure your teenager doesn’t put it at the top and lose valuable space they could use to include more useful content! As far as recruiters are concerned, if it looks like a CV it is a CV! Update: check out our separate advice on how to write a personal statement. ​Competition for jobs among school leavers has never been keener so think of a covering letter as their way to stand out from the crowd. Because it’s an afterthought for so many applicants, a good covering letter is a simple but effective way to shine. The covering letter works alongside their CV to land that crucial interview. It’s an opportunity to highlight to the reader a few key reasons why the recruiter should take your teen seriously. Done well, it can also communicate their personality and highlight specific details of their current situation which have not been covered in their CV. For example, they could use it to indicate that they are more than happy to relocate if the job is in a different area. In most cases, the covering letter is the first contact applicants have with a potential employer – so ensure your teenager makes it count. Keep it brief and focused– a couple of powerful paragraphs work best. Tailor it to each job they apply for– emphasising the relevant skills for that particular role. Bring the reader up to speed– include details for instance of whether they about to leave school or college or are seeking to move on to a better job. Stick to plain, everyday language – fancy words and flowery phrases won’t impress! Ensure they proofread the letter carefully before sending it – any errors and their application is destined for the waste paper basket. ​Your teenager has sharpened up their CV and sent off their application but now they can’t stand the suspense. How soon is too soon to get in touch? Putting in a personable, professional call a few days after submitting a CV can help them to highlight their name to hiring managers. But they need to keep it brief. Encourage them to show their enthusiasm for the position, check whether their details have been received and thank them for the opportunity. Help your teenager to be patient! After that, they just need to sit tight until the application deadline has passed. Tell them that the chances are the employer is working through a stack of CVs so badgering them for early feedback won’t do them any favours. The same applies following an interview. Even if your teenager feels that they got on famously with the recruiter, don’t let them be tempted to get in touch before the agreed date or to send their interviewer an invitation via LinkedIn. If they spotted the role online on a job site, remind them that they will still need to follow up directly with the employer or recruiter. They will be able to find these details on the job site when they apply, so encourage them to make a note of them, perhaps by taking a screen shot of them. Shortly after the closing date, make a follow-up call to check progress. The company may simply be taking longer to select candidates and they could still be in the running. If this is the case, encourage them to reiterate their interest when they call or email and then leave the recruiter in peace to make their shortlist. If your teenager learns the position has been filled, help them to stay upbeat by encouraging them to ask for constructive feedback. Not all organisations do this but it does provide a useful learning experience for those going into the workplace for the first time in particular. Also, encourage your teenager to let the recruiter know that they would appreciate being considered for future roles if that is the case.. This keeps the door open for your teenager to send a speculative CV when they have gained more experience.